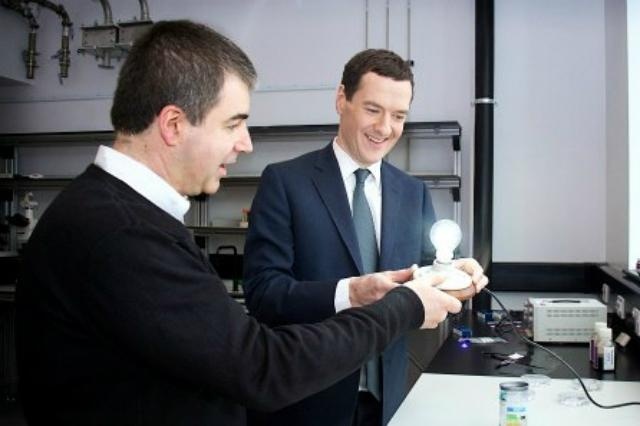 Recently National Graphene Institute of the University of Manchester, UK-based LED technology developed a new graphene LED bulbs, have a more robust structure than traditional LED bulbs and a more affordable price. This new LED bulb through grapheme molecules greatly enhances its performance and service life, but also in the hope the price cheaper than traditional LED bulbs. Graphene bulbs this innovative technology for dimmable bulb filament inside the bulb shape has LED lights, and LED lights will be coated with an outer layer of graphene, graphene conductive ability, so let the lamp can lengthen the time, and 10% reduction in energy consumption. In addition, from Columbia University, Seoul National University and Korea Standards Research Institute research team, but also with graphene made the world’s thinnest light bulb. The bulb is a fine wire through the graphene attached to the metal electrode, and then suspended in the way of the silicon substrate, the current through the filament and caused heated to over 2500 ℃ (4500 ℉), which issued a very bright light. The researchers said the new representation of ‘broadband’ light source can be integrated into the device, and for the realization of thin flexible transparent displays atoms, as well as pave the way for on-chip communication graphene coating.